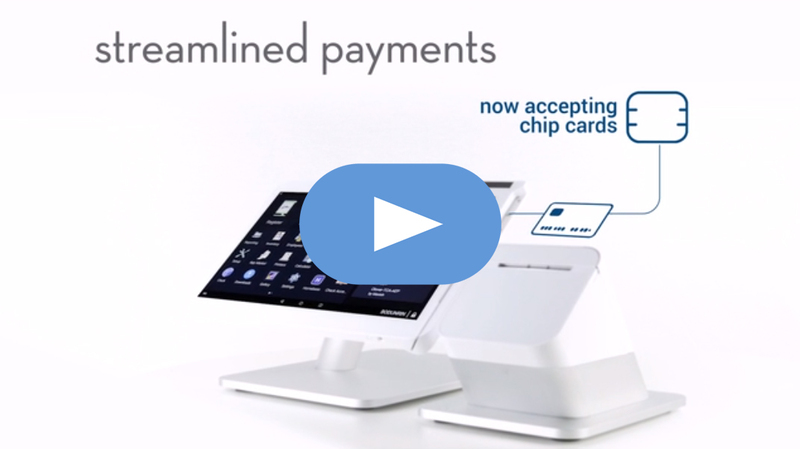 To view quick POS video overview, click here. 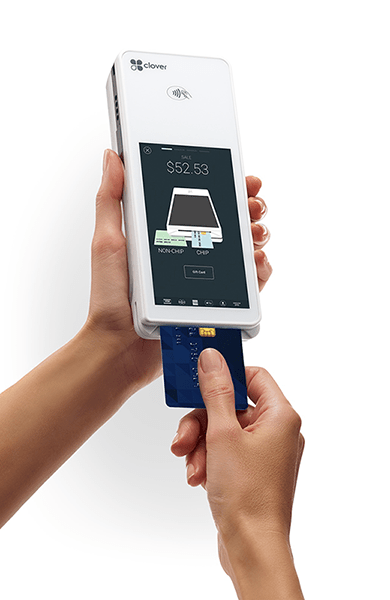 Clover Mini is the sleekest, most flexible payment terminal around. Keep it simple by accepting payments or ramp it up to manage your entire business—Clover Mini can handle whatever comes your way. Clover Mini gives you everything you need to make running your business far less complicated and a lot more fun. Tap into valuable insights about your customers, what they buy and your business so you can grow your business faster. Meet Your New Business Partner……………. 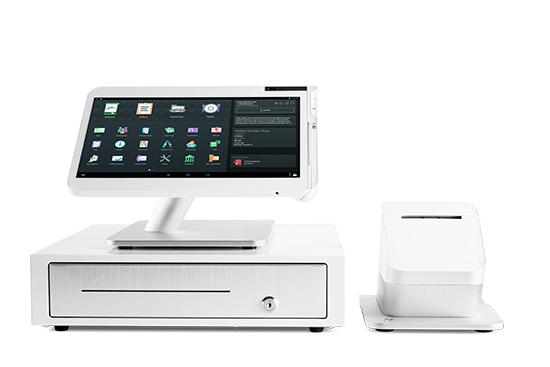 Clover Station makes it easier and faster than ever to run your business using one device. Built-in capabilities allow you to simplify daily tasks, speed up transactions, engage customers and accept the latest payments effortlessly. Take virtually all kinds of payments, from magnetic stripe, EMV chip, standard credit and debit cards to contactless payments, straight out of the box. Make a big impact with a 14-inch, HD display and swivel feature for smooth customer e-signatures and engagement. 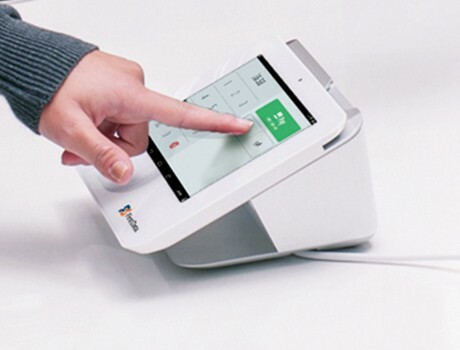 One printer has an optional customer-facing display and contactless payment acceptance. The other prints receipts fast with the high-speed option. Multi-task like a pro with 4GB of RAM that can run multiple apps and enable faster transactions. From barcode scanners and weight scales to kitchen printers and more, Clover Station is compatible with a variety of peripherals. 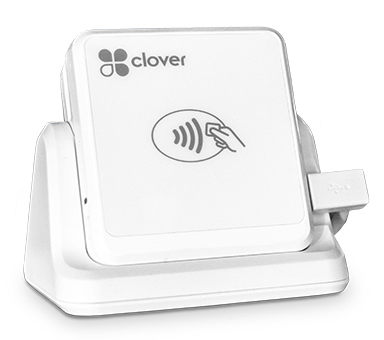 Clover Station works seamlessly with all Clover devices to support transactions at the counter, in line or on the go. Because it’s a wireless point-of-sale device with Wi-Fi and 3G connectivity, Clover Flex lets you do business right where you stand. Wherever Your Business Takes You…………………………. EMV chip cards help reduce fraudulent activity, and your transactions are backed with Clover Security data protection. If you’re not online, you’re missing out. Let Clover give you a great looking online store that connects your business to the world. Drive traffic online and in store. Your online store gives your business exposure and helps you gain new customers. Fully integrated - Your online store and your Clover POS system will just work together. From inventory to insights, it’s one seamless experience. Safe & secure - With state-of-the-art security and deep encryption, every Clover transaction is designed to fully protect your customer data. Support when you need it – Have a question? Find an answer, about whatever, whenever. We have real humans ready to offer real support. 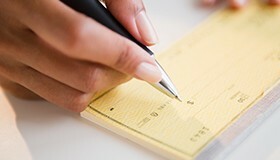 Clover Check Acceptance enables you to safely process check and ACH payments in whatever way makes sense for your business. Payments are funded electronically and can be guaranteed against chargeback—all at a cost that is typically lower than card acceptance, and with a higher approval rate. 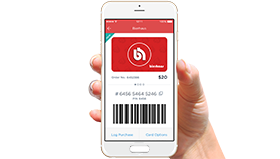 Gift cards made simple and effortless for everyone………………….